How many copper pots and pants does it take to cook for a famous French painter? 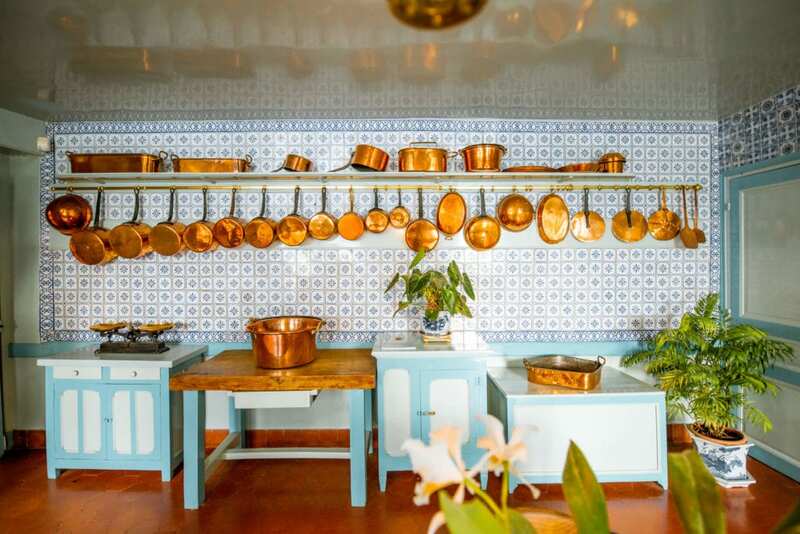 Clearly a lot, it seems, when you look at Claude Monet’s kitchen iN Giverny! We love to eat and cook at iNSIDE EUROPE and this gorgeous space surely is a home chef’s dream come true. Do you agree? For a detailed introduction to Monet’s House, visit the website for the Monet Foundation Giverny. Get your tickets to visit Monet’s House well in advance – unless you travel with us or another travel company. And if you seek a more intimate, less crowded experience, we recommend to schedule it for the afternoon and not the morning when the majority of day trippers are in Giverny. The Tourism Office Nouvelle Normandy is a great resource for more than just tickets and one of our trusted partners. Make sure to also stop in the charming medieval village of Vernon to see the Old Mill, impressive Cathedral of Our Lady and more.